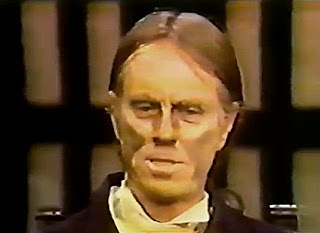 In 1975, Zacherley appeared on a Halloween themed episode of The Mike Douglas Show. In addition to an interview, Mike Douglas joined Zach to do an experiment. In episode #169 of The Basement Sublet of Horror, Gunther Dedmund presents his "film butcher" version of the movie Bloodlust. 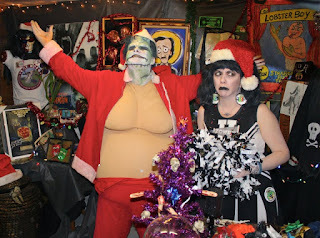 The gang at Monster Madhouse celebrate the holidays with a party. 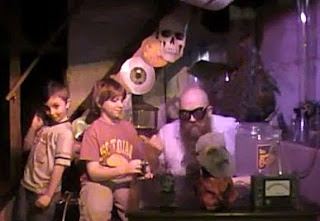 In 2011 they continue the tradition with Karlos Borloff, Lizard Man, Slo Frank, and other new additions to the cast having a fun time in the dungeon. 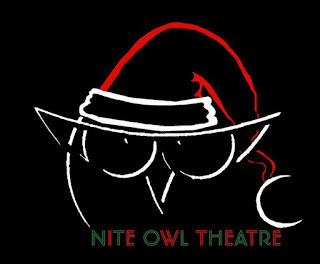 The first Christmas episode of The Mysterious Lab of Dr. Fear occurred in the sixth episode of the first season. 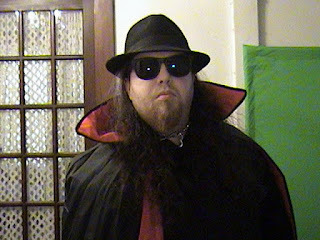 In an episode from 2002 titled Interviewed By A Vampire, Dr. 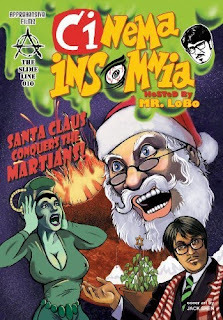 Fear, Mr. Grimly, and Trinka are joined by Count Vino as they present the movie Santa Claus Conquers the Martians. 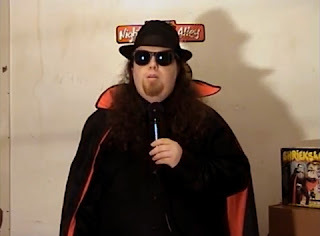 The seventh episode of the first season of Baron Von Ghoulstein's Movie Crypt has Baron Von Ghoulstein presenting the movie Dementia 13. 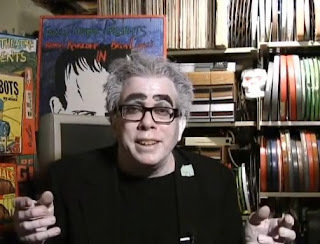 Prof. Paul Bearer II has returned with some short videos straight from Tenement Castle. Santaphobic, a holiday themed one, finds the professor Santa-proofing his castle. 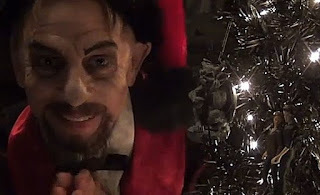 On the 2010 holiday edition of Creature Feature, Count Gore De Vol tries to stop the New Years curse on his dates with Countess Von Staufenberger by inviting her over to watch the movie Santa Claus Conquers the Martians. 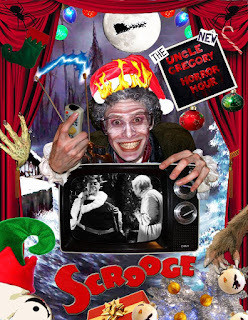 In the 2011 Fright Night Cinema holiday special, Hell Crow is sick and Lord Victor Von Scary tries to find some medical help for him while he hosts the movie Santa Claus. 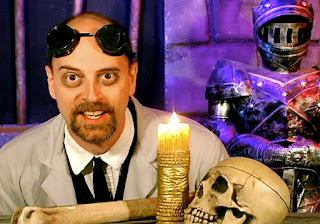 In episode 37 of The Basement of Baron Morbid, Baron Morbid has to deal with the new assistant Jacques hired for himself, as they present the movie Tomb of Torture. Roxsy Tyler is about to lose her carnival, so she, Johnnie 13, and the others try to save it by staging Roxsy Tyler's Carnival of Christmas. 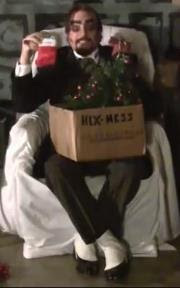 Dr. Paul Bearer II celebrated Christmas 2011 by decorating his crypt and spending time at the Christmas parade in Winter Haven, Florida. The movie being presented by E. Spanto on Bloodshot Theatre for December 2011 is Invasion of the Saucer Men. 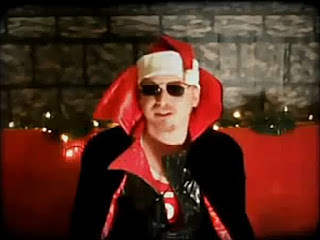 On October 31, 2011, Sammy Terry hosted a Halloween special on WTTV, channel 4 in Indiana. The movie he and George presented was Fright Night. 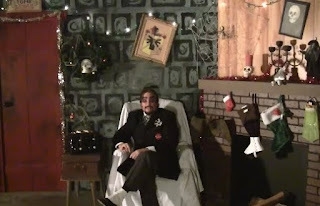 Baron Von Ghoulstein answers some viewer mail and presents the movie Messiah of Evil in the sixth episode of season one of Baron Von Ghoulstein's Movie Crypt. 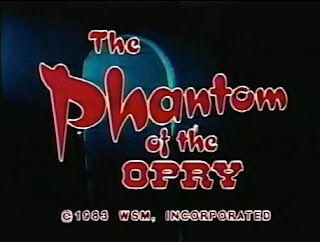 Sir Cecil Creape was the host of The Phantom of the Opry which aired from 1983 to 1985 on The Nashville Network. To celebrate Halloween and to promote the relaunch of Macabre Theatre, Ivonna Cadaver appeared on the show Issues with Jane Velez-Mitchell. The segment aired on October 31, 2011 on CNN. 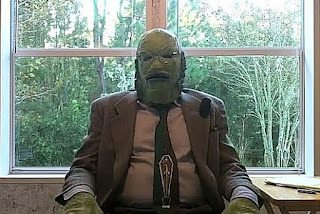 On October 30, 2011, New Orleans' FOX 8 station aired a documentary about Morgus the Magnificent called The Mystery of Morgus. 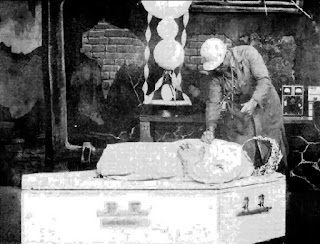 Chiller Theater ran in Rochester, New York on WORK-TV channel 13 from 1962 to 1968 on Friday night and Saturday and Sunday afternoons. The show ran was hosted by The Chiller, who appeared with an invisible face. In 1965, Brave Heart Records released a 45 RPM with the songs The Chiller and Chiller Limbo by The Vic Plati Quintet. 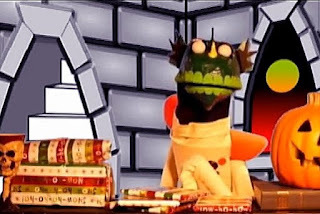 The Chiller was the theme song to Chiller Theater. 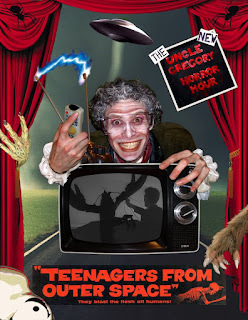 In the second episode of the second season of Fright Night Theater, The Pumpkin Man presents the movie Spider Baby and shows footage of his trip to the Ohio HorrorHound Weekend convention.